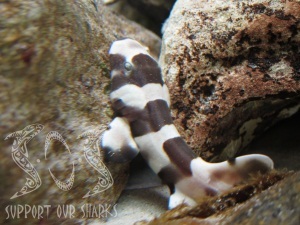 Research published by SOS in the open access journal PLoS One shows that banded bamboo sharks (Chiloscyllium punctatum) are able to sense predators while still in an embryonic state. Marine neuroecologist and founder of Support Our Sharks Ryan Kempster, describes how embryonic sharks use electroreceptors to detect predators, and are able to cease respiration to avoid detection. 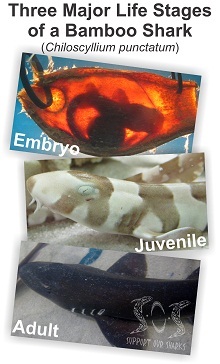 “Unlike many species, the bamboo shark will develop completely independently of their mother inside an egg case,” he says. The embryos, which have to survive for up to five months until they were strong enough to emerge, would become very still when presented with predator-like stimuli. “Externally they will stop any bodily movements and at the same time stop respiring,” he says. Bamboo sharks, which are primarily found in waters off the north-east Australian coast, sense minute electrical emissions from predators. They are able to do so using tiny organs known as the Ampullae of Lorenzini. “They are tiny pores positioned all over the surface of the heads in sharks. These tiny pores vary between sharks in terms of the size and the quantity. These are factors that might then influence how the sharks use this sensory system,” he says. Ryan says it was important to see whether there were differences in the ways various shark species reacted to electric fields. 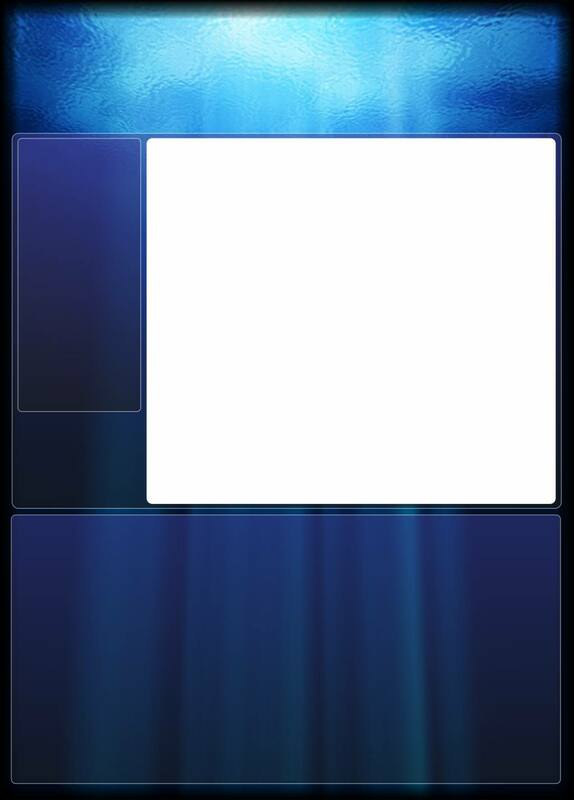 “A bamboo shark may react differently to a reef shark, and a reef shark may react differently to a white shark. Understanding such shark behaviors will help us to develop more effective shark repellents,” he says. SOS recently made a short film about Ryan’s work called ‘Survival of the stillest: Predator avoidance in embryonic bamboo sharks’ which screened at the Beneath the Waves Film Festival, at Nauticus Museum in Norfolk, Virginia 2012. You can view the film via the link below.